Posted on 23 September, 2016 . 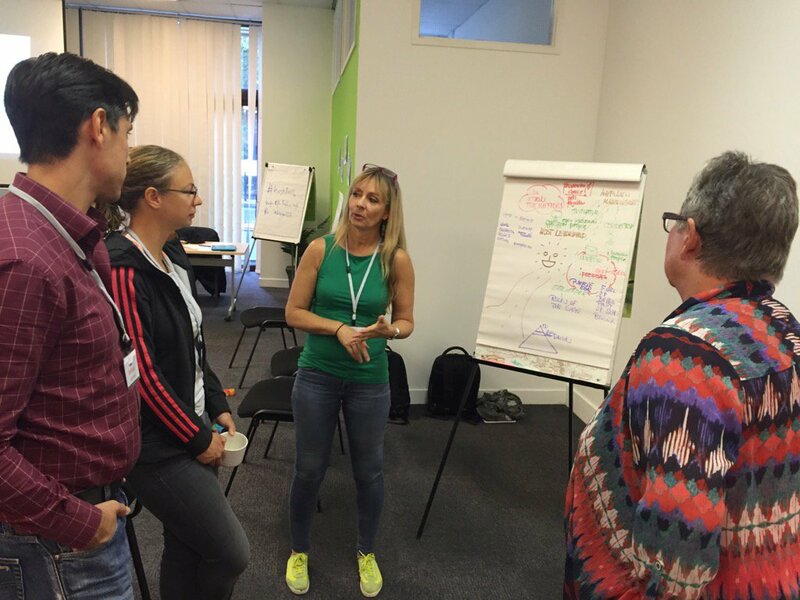 September 2016 saw leaders and leadership developers from around the world congregating in London for the very first Host Leadership Gathering. What emerged from the three days was an exciting air of new growth and development. 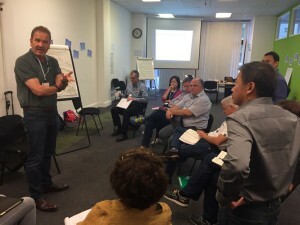 Mark McKergow and Helen Bailey opened the proceedings on Wednesday 14 September with a one-day Meet Host Leadership workshop to introduce the concepts developed from their book Host: Six new rules roles of engagement for teams, organisations, communities and movements. Mark and Helen quickly had the participants connecting the ideas to their own situations and contexts. They also took the opportunity to trial a new version of their Host Leader self-assessment questionnaire. 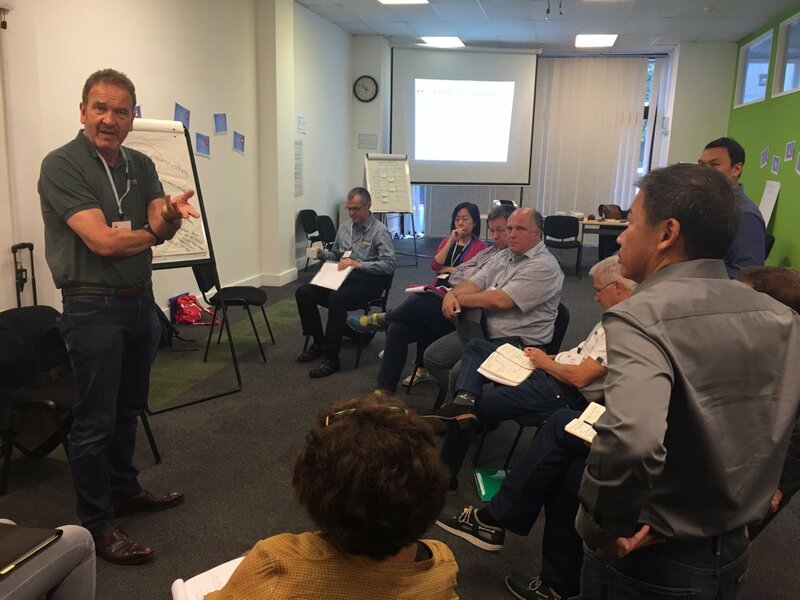 Developed by Jonathan Bowyer, this simple tool is a great way to provoke insight and reflection, initially into how people perform in the six roles of a Host Leader. 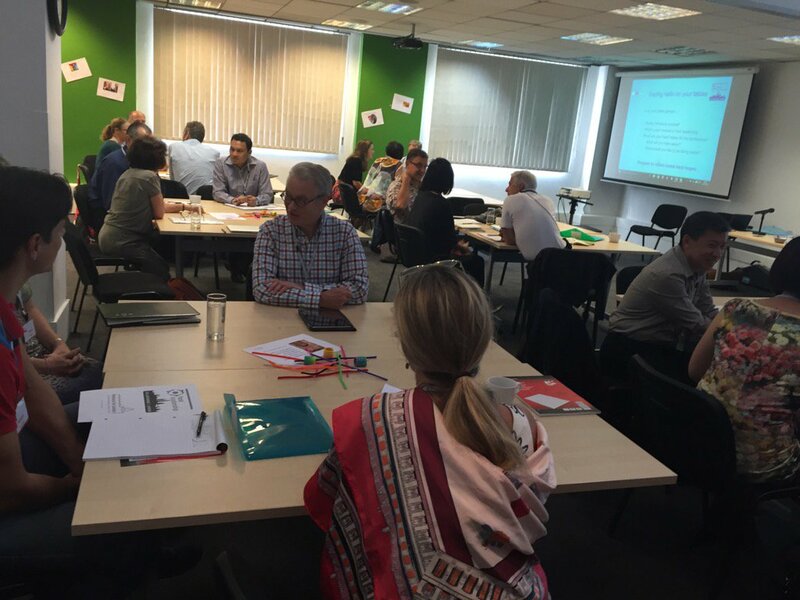 Mark and Helen are working with Jonathan to further expand their suite of tools, to look at the four positions of a host leader and also to build a 360 online version of the tool for use with client organisations. 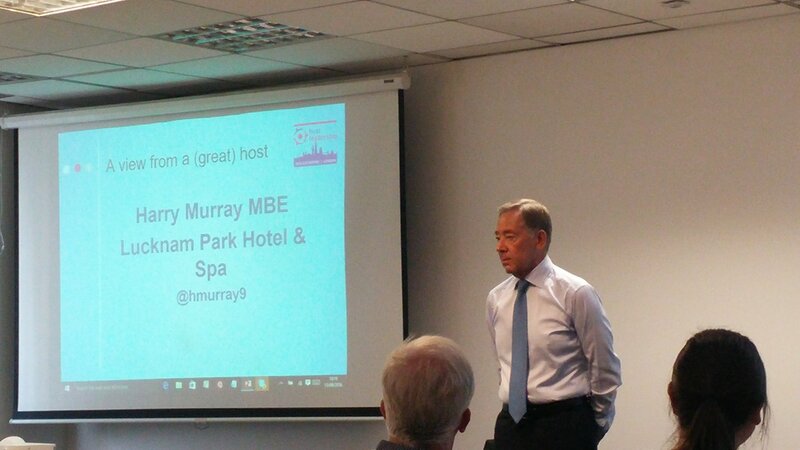 Thursday 15 September saw the main conference day of the Gathering opened by Harry Murray MBE. Harry has a lifetime’s experience at the top of the hospitality industry and really knows what great hosting looks like. 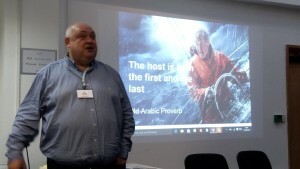 In conversation with Mark, Harry recalled his experiences – about the key role of empowering staff to look after guests. of the importance of attention to detail, about ‘always start with a question’ when talking to staff. His memories of meeting Nelson Mandela in South Africa in 1994/5 were clearly very moving, as he recalled how Mandela would always pay great attention to the backroom staff and even the bell-boy: returning to the hotel, the South African president nodded to the young man by the lift and said “You must be doing something right – you were here last week, and you are still here!” What excellent attention to detail and connection with people. The programme moved on to look at ‘Why Host Leadership now?’. Annessa Rebair (Northumbria University) looked at the challenges facing nurses in the NHS and how the host metaphor fitted well with the rising profile of nurse leadership. Pierluigi Pugliese, an Agile consultant from Munich, shared his positive experiences of helping Scrum coaches connect with hosting as a leadership practice, with the help of some very effective and simple drawings (see his slides on Slideshare). Helen Bailey looked at how hosting combines feminine and masculine aspects, and offers a route towards valuing more feminine traits than the simplistic ‘more women on Boards’ route. Ashridge Business School’s Mike Brent shared the latest research about what ‘Generation Y’ and millennials want from their jobs, workplaces and leaders – friendship, as well as support, featured prominently. The keynote was given by Professor Elena Antonacopoulou from Liverpool University School of Management. Taking the room by storm, Elena produced a series of dazzling connections and ideas in support of the idea that the biggest challenge facing leaders today was indeed to cultivate friendships with Generation Z. Using imaginative word-plays, she deconstructed everyday phrases to give them new meanings –for example ‘Impossible’ becomes ‘I’m possible’ with the simple addition of an apostrophe and a space. 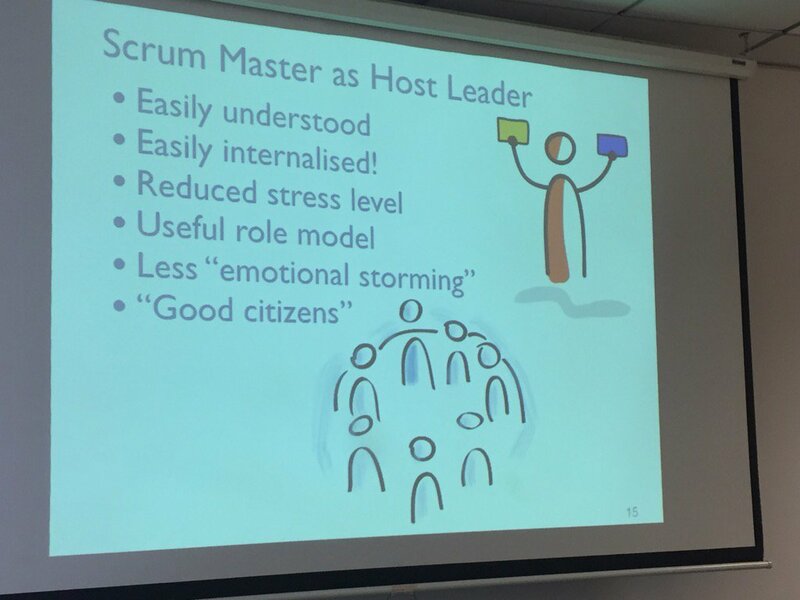 Elena said that one challenge was to ‘put the man back into management and the ship back into leadership’, referring to the leader’s role in developing the vessel in which the whole community sank or swam. She offered many sources and ideas, including using a rubber band to illustrate how tension and ex-tension worked and also pointed us to Jorge Munoz’s video An Angel In Queens to illustrate extraordinary leadership by ordinary people. After a lateish lunch, we continued with two parallel workshops. Mike Brent drew on his book The Leader’s Guide to Influence to share different ways that host leaders could bring their influence to bear, while in the other room Leah Davcheva from Bulgaria provoked a fascinating discussion about hosting in online contexts with her personal experience as ‘steward’ of an online community in the educational world. She helped us to tease apart some differences between steward and host, and had us looking at how we used language in online contexts and how to invite people into participation in particularly effective ways. The last part of the day was given over to some short inputs about the experience of using host leadership ideas in different settings. Executive coach Stephen Josephs joined us from the USA by Skype to talk about his work with Silicon Valley senior executives, who certainly seems to be finding ideas about roles and positions helpful in tackling their often-overloaded lives. 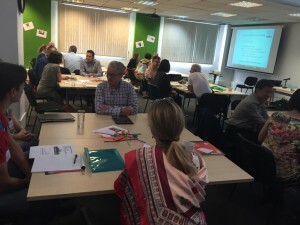 Housing association CEO Angela Gascoigne shared her story of leading her organisation through a particularly tough patch, and how rethinking her position as a host had helped her to tackle these difficulties in a way which helped others to engage. Laurent Sarrazin and Géry Derbier talked about using and teaching the concepts and roles with in the world of software development, particularly in France. They asked us to consider dropping the ‘leader’ from host leader and simply refer to the people concerned as ‘hosts’ – an interesting and potentially significant development. Leah Davcheva gave us all some final reflections before we wrapped up the day and went off for a very nice Italian meal. The final day of the Gathering was in Open Space format, and we had lots of excellent conversations convened by participants and also by some of the speakers. Everyone wanted to explore their questions, and there were some great meetings of minds, from the conceptual (leader/follower relations and connections to happiness, for example) and the practical (sharing activities for teaching host leadership). One key discussion was about how we can all contribute to spreading the word, and the group agreed to support the Host Leadership Linkedin group as the public place to share and converse. We are also exploring a Practitioner’s Community for sharing resources etc – this is in its early stages but we are optimistic about creating something to support people who really want to specialise in sharing and developing host leadership ideas in different contexts. Watch out for more news! We closed tired but happy, with much renewed enthusiasm and looking forward to future developments. 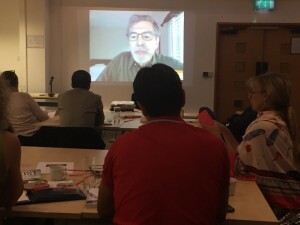 There was considerable interest in a next Host Leadership Gathering – perhaps in France, Germany, Bulgaria or even Singapore? For up to date news of future events please sign up on our website, follow @thehostleader on twitter and join the Linkedin group. Posted on 13 July, 2016 . I was approached a little while ago by Jan-Dirk Rosche from Switzerland. Jan is connected with the Jakobsweg path – the part of the famous pilgrim trail to Santiago de Compostela that passes through Switzerland. There are many people wanting to walk this trail – but a problem in convincing locals along the route to open their houses to offer the walkers accommodation. Jan is a fan of Host Leadership, and asked me if I would write a short guide on ‘how to be a good host’ for the Jakobsweg – to give encouragement to new and existing hosts about how they can support the walkers and also get some interesting new contacts and perspectives themselves. I agreed, and the piece is now up on the Jakobsweg website in both English and German. As you can see, I use our six roles of a host leader to offer practical guidance for Jakobsweg hosts. These ideas can of course be used elsewhere too – by anyone offering shelter and accommodation to strangers. When we lived in Cheltenham, SW England, Jenny and I used to offer bed & breakfast to racegoers coming to town for the National Hunt Festival every year, and the same things applied. Do please share this with everyone you know who is perhaps thinking of opening their houses. It’s very worthwhile, there is richness for both host and guest, and it is excellent leadership development too! If we are leading with engagement at work, then engaging with strangers at home is a marvellous learning resource. Posted on 27 January, 2016 . Building connection and relationship is a key part of every leader’s role. But how to do it, and when are the opportunities? In the UK (and indeed around the world) we have a routine of clinking glasses and saying ‘Cheers!’ when we have a drink with others. In my experience, this is usually done in a perfunctory way, with a quick clink and on with the drinking. But what’s this all about, and what does it tell us about connection? There was an idea, now generally debunked, that in medieval times the clinking of glasses was about sloshing liquid from each vessel into the other to show that none of the drink was poisoned and that everyone could relax and be friends. Whatever, it’s a moment when there is a general pause in the general chat whilst everyone focuses on the others present. On a recent visit to Sweden I noticed that when a group of friends gathers for a meal, the observance of the ‘Cheers’ is carried out in a more meaningful way. 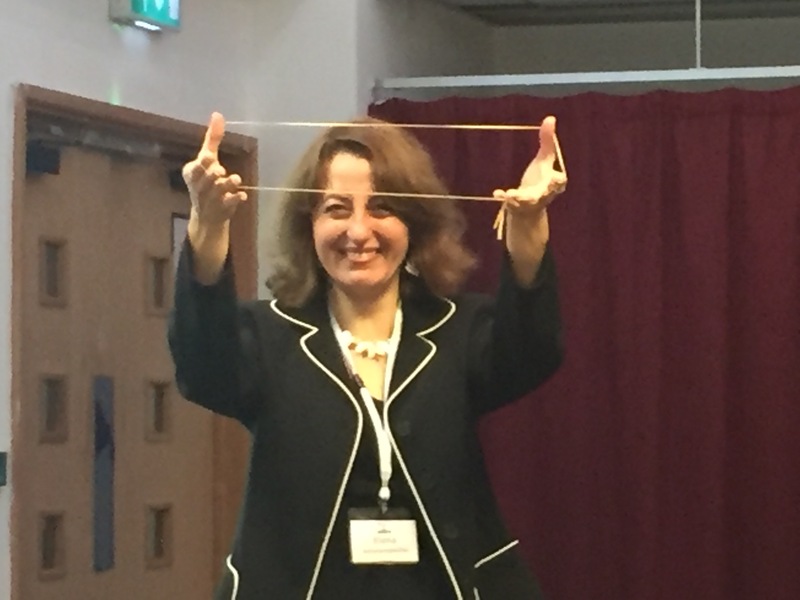 Agneta Castenberg, a colleague from the world of Solution Focused coaching, explained how it works. And you wait for the host/hostess to put their glass down – then and only then can you put your own glass down. Next time you find yourself saying ‘Cheers!’ or whatever, take time to make eye contact with everyone. It adds to the connection and the idea that this is an important moment for us all to be together. Perhaps not everyone will respond – the first time. Keep it up! And let us know your experiences below. By the way I will be back in Sweden doing a Host Leadership session for the Clues centre in Karlstad soon – do check out their website. Now watch Agneta explaining it all to me (in a rather dark bar on a sunny day).